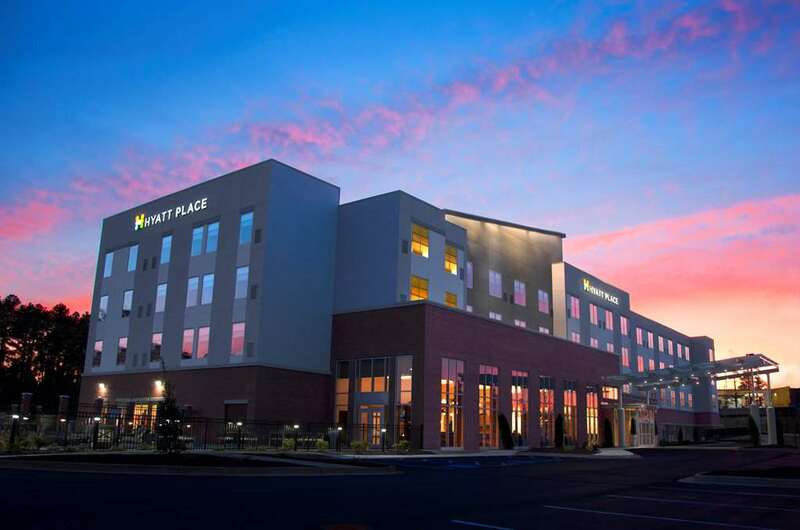 At Hyatt Place Augusta, we offer contemporary styled guestrooms featuring Hyatt Grand beds, 42 flat panel HDTVs, Cozy Corner sofa sleepers, refrigerators, and functional oversized work spaces. World of Hyatt members can enjoy our complimentary breakfast when they book an eligible rate. Our breakfast includes premium ingredients, cage-free eggs, and regional chef-inspired dishes. Here you can enjoy freshly prepared sandwiches and greens from our Gallery Menu and Market or unwind after a long day at our Coffee to Cocktails bar. With over 1600 square feet of available high tech meeting space, including a private board room, we can accommodate your important gathering no matter the size or occasion.